The image of a seagull was filmed. The sequences when I moved the image always back to the focus of the camera were collected and put together. 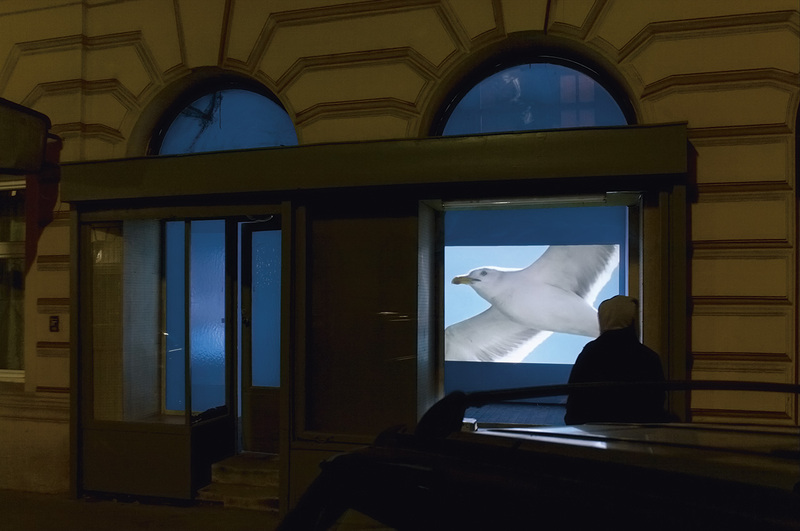 The result is a video of a flying seagull without flapping its wings.